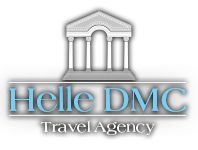 About Helle DMC: we are dynamic, and service driven Destination Management Company that provides creative and specifically tailor made solutions & services for meetings, incentives, conferences and events in Croatia. All our special events are organized in a particularly engaging surroundings, such as Dalmatian coast villas or resorts which guarantees that you will make an unforgettable impression. Participate in our programs and experience some of the most luxurious holiday destinations in Croatia such as Dubrovnik or Split.. Whether you need a special event, entertainment, decor, transportation, VIP tour or team building scenarios, Helle team will provide the very best Croatia has to offer. Possessing considerable local knowledge and familiarity of the destination enables us to implement our packages in some of the most majestic venues available in the region. Helle Travel Agency co-operates only with the most luxurious hotels, exclusive restaurants, spa and wellness facilities in order to meet the needs and refined tastes of our clients. Make no excuses; among all the numerous activities you will definitely find something that suits you best. Learn how to cook, enjoy culture and education, star in a movie like story, and slip into the rhythm of diversity. Tailor made programs can be an ideal creative expression of your brand and an unforgettable form of traveling. As John Steinbeck said, the best kinds of journeys are not the ones you take. The best are the ones that take you.